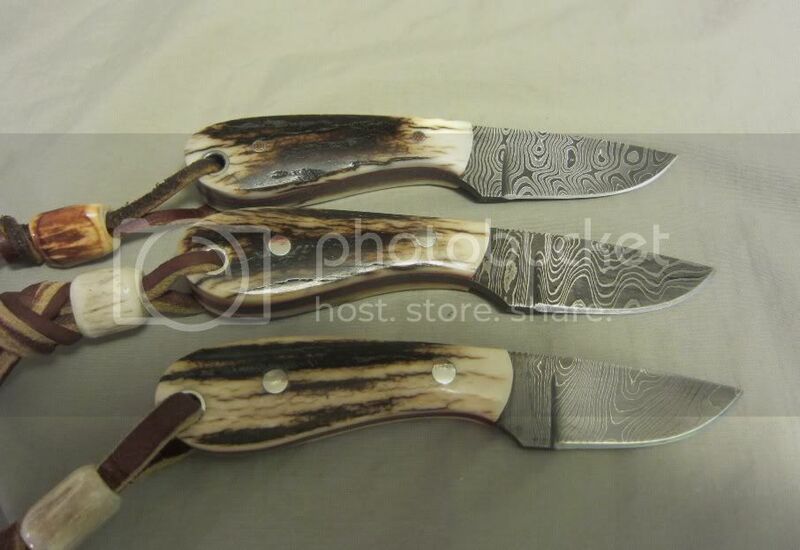 couple of years back, I had Jason Winston from MS, make these little elk horn handled, damascus blades. Gave two of them to my brothers, and kept one. I was sharpening mine this morning, and thought I'd mention them. The one I kept was the top one in the picture. The steel was 1084, 1095 and 15N20. Those are some very nice knives, ML! I like those a lot. I carry a similar size damascus fixed blade with olive wood handles. A very useful small knife. The elk antler is really nice looking.